By testing and programming boards using XJTAG boundary scan throughout board development and production, power-systems specialist Reason Tecnologia has successfully reduced programming time, increased test coverage and accelerated debugging of new boards. Superior technical support from XJTAG is helping the company’s engineers maximise the benefits of using the system. Engineers at Reason are using XJTAG to test boards for the company’s RT420 Synchronisation system. 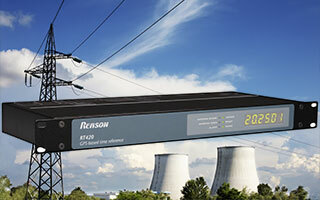 The RT420 provides highly accurate, satellite-based clock reference signals for synchronisation protection, control and monitoring equipment in substations and power plants. The board contains a Freescale MPC5200B PowerPC microcontroller, Flash and DDR memory ICs, an FPGA and an Ethernet PHY. For the purposes of boundary scan testing, the microcontroller and FPGA are connected to the JTAG chain. XJTAG allows engineers to access all the pins of these devices, to verify correct operation and also to generate simulated bus signals to communicate with other components connected to the same nets. In production, XJTAG has reduced the total time to program the on-board Flash from one hour to just 10 minutes. XJTAG also supports an advanced Flash programming technique, called XJFlash, which allows Flash chips to be programmed at close to their maximum theoretical speed. After successfully meeting the original production-related objectives, including the faster Flash programming, XJTAG is also now being used by Reason’s development engineers to speed up debugging of new boards. “Debugging is now very much faster and easier, and we are also able to locate defects that were difficult to track down before XJTAG”, adds Celso Luis de Souza. XJTAG’s XJAnalyser tool provides the means to visualise and control the unit under test. It also embeds the ability to program devices using SVF or STAPL files. This saves companies like Reason from using several sets of tools to program individual devices. XJAnalyser aids debugging by presenting a graphical view of boundary-scan chains, and provides information about the number of devices detected. Engineers can also inspect pin states and pin values for all devices connected to the chain, and can toggle pin values or trace signals to identify open, short-circuit or stuck-at faults quickly. There are also variable zoom levels and other convenience-oriented features such as split-screen display, which enable easier access to XJTAG’s powerful capabilities. Using XJTAG to check production boards has helped us improve efficiency and reduce the time to program our boot loader into Flash memory. Our development engineers are also using XJTAG to debug new boards. Technical support has been very good from the beginning, including helping us to optimise the system for our microcontroller. Test and programming are faster, and we are able to locate defects that were difficult to track down before. Features such as XJAnalyser make XJTAG extremely effective and easy to use. We have achieved valuable time savings while increasing test coverage to over 90 percent. Reason Tecnologia S.A, located in Florianopolis, southern Brazil, provides the worldwide electric power industry with a full line of solutions for fault and disturbance monitoring, recording and analysis. The company has business units dedicated to phasor measurement, GPS-based time synchronisation and travelling-wave fault location.